→ Where's finished Pokemon Ice??? I saw the Christmas hack and I liked it, but I heard that was inspired in part by Pokemon Ice. released (and maybe finished), only screenshots and a few videos were released. Now's 2013 and almost 9 years are passed, is that hack still alive? Plus, the Ice Hoax patch was removed from its original location since (I think) last year, what about it? Re: Where's finished Pokemon Ice??? As far as I know, Ice was either never finished or at least never released like you said. I know it was really hyped and was supposed to be a very good hack if it ever got released, but as far as I know that hack has long been considered dead. It would be cool if it eventually got released, though just to see what it would have really been like. But yeah, also like you said, the snowy theme was one of the inspirations for Pokémon Christmas. That was always a question for me. It's too bad that this hack is never released. I don't think Jeremy ever finished Ice. She probably just got bored of continuing it, and canceled the process before getting far enough to giving a "release of certain quality" out or something. But I saw some screenshot featuring members of the elite 4, so the game was enough developed I guess. The strange thing is that Jeremy didn't said anything about, as well as Ice Crystal, the only game that I know he finished is Pokemon Pink (but it wasn't so great like Ice). I know some guys slowed up a bit the work because they were continuously asking Jeremy insert them inside the game with their custom pokemon team. Jeremie said she(or he, I don't know if she\he is a girl or a boy cuz Jeremy is a dual-genre name) got computer problems, computer crashes and problems with her\his sister or something like that. Plus, Jeremy applied continuously changes to the Hack. The other strange thing is, like I said before, the Ice Hoax patch download disappeared, it disappeared from Pokemon Community and also from Data Crystal, and I can't find it anywhere. I read from Data Crystal that it was only a graphical patch. Someone still got it or knows something about? Because that patch is extinct on the web. If Jeremy really gave up with hacking that game, do someone know if the game is gonna be continued by someone else then (like some half-dead hacks that were continued by other people)? Seeing as how there was no public beta release (as far as I know), if anyone was to "continue" making the game, it would have to be from scratch and based on the preview pictures and videos posted in the PokeCommunity thread. It would be most likely that people borrow ideas (such as the winter landscape) and use them in their own hacks, Pokemon Christmas being an example. I never heard of an hack being unreleased for 9 years before that... even Pokemon Trip 1998 was released and it's a 15 years old hack! 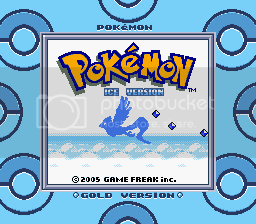 If my memory serves me, all the "Ice Hoax" patch did was apply the pallets s/he used in the promo screenshots to a normal gold rom. Kinda like the year when on April Fools I released an IPS patch that turned Gold Version into Red Version with a slightly modified titlescreen and claimed it was the finished version of Secrets and Rumours. Jeremy is quite aware of Ice's delay. He has made several jokes about Ice's release, and as well a hoax hack. 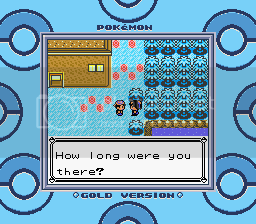 It was basically a hack of Pokemon Crystal with Ice's "ice" palette. It has been confused for the "actual" Ice hack. It didn't include any graphics from Ice, it was just Pokemon Crystal with the palettes changed to match the palettes being used at the time in Ice's development. EDIT: Darn, Mateo beat me to it. Hah! So actually [warning, bad grammar] even myself has fallen into that April Fool joke, I believed that patch gave the graphic of Ice (and not only the palette... even myself could make a snowy palette... I did in one of my hack experiment). Exept the videoclip with the girl that pushes away Ice (the trainer's name I guess), and a few screenshot, who guarantees that that game was really done to be played & not only used for a few screenshots (and gain the Hack of the year 2004 title)? Kinda like the year when on April Fools I released an IPS patch that turned Gold Version into Red Version with a slightly modified titlescreen and claimed it was the finished version of Secrets and Rumours. I found a very rare screenshot of Pokemon Ice in a very early state of developing, this comes from 2005. Wasn't Pokemon Ice came out in 2003? And why this screenshots says 2005??? If this was the 2005, and in 2003 progresses were further... then this is a real Time Paradox! Yeah that screenshots is really weird, but where did you found this? because I don't think on PC thread there is any screenshot like this one..
That looks like a paradox because, if is true that that's a 2005 screenshot (or maybe even later) and in 2003 there was the hack we all know, how a hack could be less evoluted after? 1-Maybe Jeremy didn't let us know that he\she lost his hack due to those mentioned "computer problems" and didn't wanted to continue it from 0, so he\she stopped the project... but it's still weird. 2-Or maybe, he\she made a hack exclusively only for the famous screenshots and then he\she scrapped it because it was already premied as hack of the year 2004 without the release... this is even weirder. You're right, there's nothing like this anywere else exept here. My vault keeps lots of unreleased hacks & stuff + other very exclusive stuff from 1998 to 2004. The rest is top secret. Never going to be released. This could be the proof that Pokemon Ice is maybe the greatest hacking joke ever did. the video probabilly showed only a little script did later in a map done previously. Most of the screenshots could be of the fake hack too, or could be even fake itself. This one is the only one I'm sure is original, because it wasn't ever posted somewhere else, so I wondered, why don't post it on PC? Because this is the living proof that demonstrates Pokemon Ice is a fake. Shocking, huh? but not extraordinary. 2- If a (good?) hacker as Jeremy is supposed to do very good hacking changes, why he\she asks for a banal GSC Starter Editor???? 3- Why don't release ANY beta without saying "Sorry, I gave up" like many others did, why say in 2005 "the hack is near to be ready" then nothing until 2009 when he\she says "s the hack is near to be ready" and then nothing again and closed thread. Because those were excuses - the hack was meant only to win a couple of contests and the 2004 hack of the year. Personally, I wouldn't have ever gave that title to a joke, don't you? If I were the one that choosed that title 2004, I would have nominated Pokemon Brown Hack of the year 2004 and not that joke. Also, the old release of that Ice Hoax... weird. Most of the things we knew of Ice were exhagerated or faked out. 10 years passed - everything we knew about this hack was half-fake. Pokemon Ice is a myth rather than a hack, finished? No, it was only a trailer. Anyway, what's your problem with it? Uh, are you a big fan? I don't really know why you're so obsessed with a hack which was cancelled years ago. I mean I myself played a lot of these and I think it's interesting how the creators did it with a lot less available tools back then but there's no need to put so much attention to it. I was been a big disappointed fan of that hack - 10 years as a hack are too much. Sometimes I wish have some more time & then do that hack starting from 0 and then release it... unlike the official one - but there's no hope since I'm not at such hacking levels in Gold. I dunno, there was something special in the description (maybe because is a total overhaul) since I like total overhauls hacks. I actually think someone knocked-off my image account in order to hide this and delete proofs. I've received an unauthorized upload on my account and then I was unable to access it or recover my password. You will never interfere in my private things anymore and I won't tell\post those and many other secrets in the official PlaCe, and as promised I deleted that image from here.